On 15 November, Beyond MEd, the annual meeting of the Faculty of Medicine of the University of Lisbon (FMUL) on Medical Education, was held at the João Lobo Antunes Grand Auditorium of the Egas Moniz Building. This event began four years ago as a joint initiative of the Pedagogical Council and the FMUL Student Association, initially receiving the name “Pedagogy and Medical Education Day – PME Day”. In the following editions, the Department of Medical Education also became a partner and, over the years, it has been growing within the School, with a growing number of participants, which this year reached 270 enrolees. Beyond MEd is a meeting that promotes the debate on topics related to medical education, which allows updating and sensitizing both lecturers and students to the reality and future of medical education. The discussion was present throughout the event, which included lectures with speakers from both FMUL and other Medical Schools in Portugal and the World. In addition, the discussion in small groups and the presentation of projects on Medical Education that are taking place in the FMUL were stimulated. One of the most awaited moments of this event was the award of the Professor João Gomes-Pedro Pedagogical Merit Prize to the FMUL Lecturer or group of Lecturers who stood out the most in the previous academic year for developing new pedagogical strategies, for giving relevance to students’ feedback, for seizing the individuality of the students, inspiring them and providing an example that they want to follow. 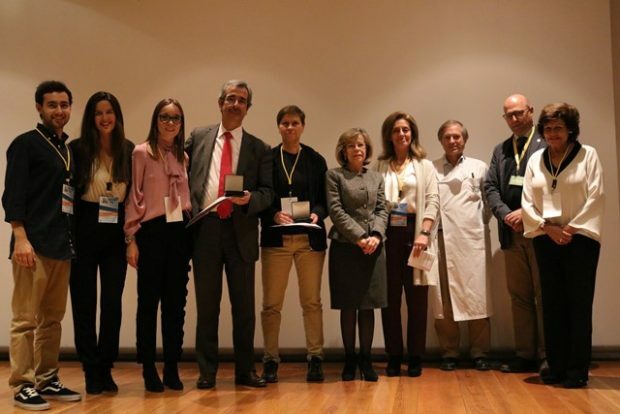 This year the award was given to the Oncobiology Subject Area and to its Coordinators: Professor Luís Costa and Professor Maria do Carmo Fonseca. The Pedagogical Council remains committed to encouraging this event, hoping that it will lead to a new context of FMUL Lecturers.